Enjoy the irresistible comfort of Scarpetta and share the joy of our traditions. Scarpetta was born out of a love of tradition, food and passion. 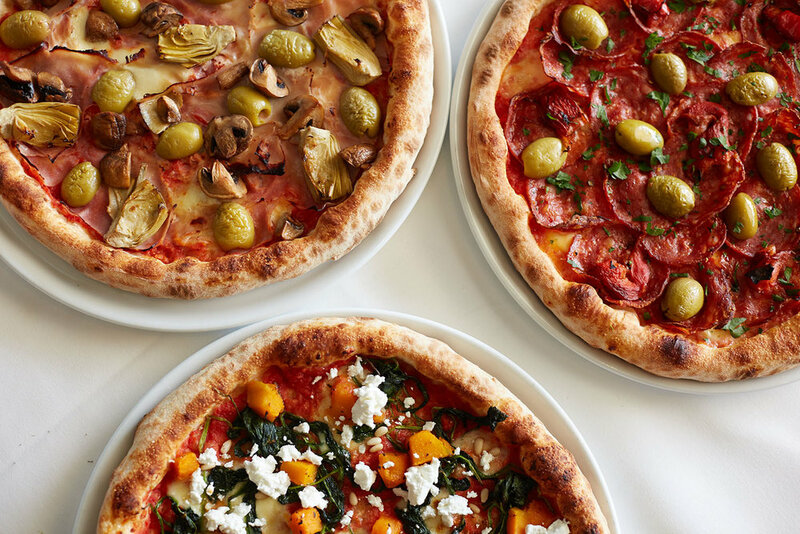 Italian tradition has passed through generations of the Scarpetta family and been brought to life in Albert Park. Although quality produce and superb food are the cornerstones of our values; fine wine and fantastic company complete the trifecta to create a perfect meal. We are passionate about sharing our appetite for Italian tradition, food and hospitality with you. scarpetta [noun]; little shoe, an essential part of any Italian meal. fare la scarpetta [verb]; the moment when a piece bread transforms into a little shoe, sweeping across the plate to mop up the last delicious traces of a meal. Fresh summer cocktail, lots of ice, mint, sugar syrup, white + dark rum, sparkling water and lemonade. Served in a high ball glass. Aperol and dry Prosecco with a splash of sparking water. Served in a large Burgundy glass with ice and a slice of orange. Italian Limoncello and dry Prosecco with a splash of sparking water. Served in a large Burgandy glass with ice, lemon and a fresh mint leaf. Cinzano Rosso, Campari, Tanqueray Gin. Served in a low ball glass with ice and candied orange. Tequila based cocktail with Jose Cuervo – Silver, Triple sec, fresh lemon and lime juice. Served in a Martini glass with a salt encrusted rim. Summer love! Vodka, Cointreau fresh lime juice and a splash of cranberry juice. Served in a Martini glass. Your choice of Bulldog, Hendricks or Tanqueray 10 Gin. Classic Martini with olive or lemon twist. Served in a martini glass. Hendricks Gin with fresh lemon juice, tonic and basil. Served in a highball glass.